The National Association of Insurance Commissioners has recruited performer Amy Grant in a campaign aimed at offering advice to members of this financially undernourished generation. 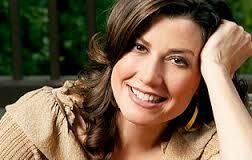 Singer-songwriter Amy Grant. Photo: Getty Images. The so-called Sandwich Generation is not a happy bunch, given that both their parents and their kids are eating up a lot of their resources in both time and money.